The forum has gone so quiet again that it's echoing in here. Where is everyone and what are you doing that keeps you so busy? I hope you're painting as I do miss your lovely art and I miss the camaraderie of my fellow artists most of all! And I've noticed that we have some new members who have never even said "hello"! It would be nice to hear from them too and from the newish members who were posting once upon a time but stopped for whatever reason. Are any of you out there?!!!! Hi, Jan! Right now I have some personal problems, and hope to be painting and communicating more in a few months. Miss all of you, too! I hope more people come back soon. I've been so busy working on the van that I haven't had much chance to do anything else except get some tennis in and pay bills. Today I built a cabinet around the refrigerator and secured a microwave to the counter top. This weekend I put up a 5 foot overhead cabinet I made and also built the bed. Need to get it all in shape over the next 4 weeks so I can start traveling. This is a sample of my latest art creation. I call it "Wheel Well in Silver." Most of it will be covered by the bed which is the frame you see around it. 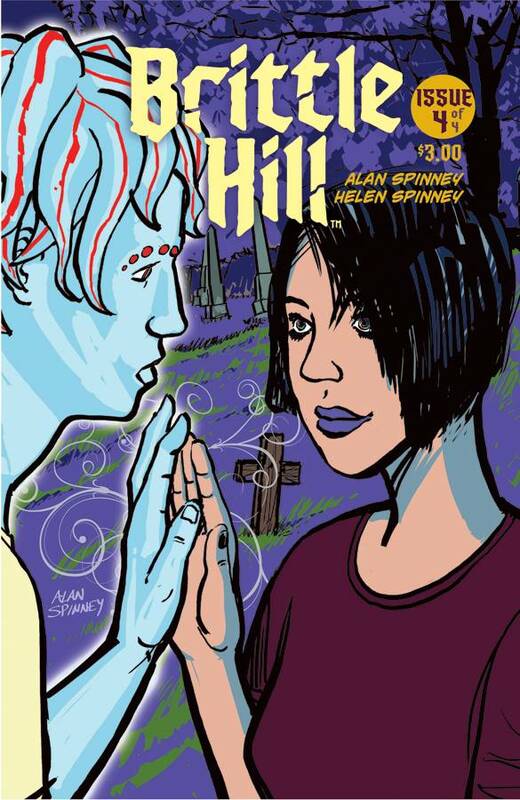 We've just released the fourth issue of Brittle Hill, our comic mini series. This has kept me very busy for the past year and a half, and we are taking a break now. Then we can resume painting! This issue will complete the current mini series. Here is a look at the cover. All drawn digitally, no pencil art for the cover. It's that time of the year when we all get busier but it's nice to see you both here finally. Judy, you just amaze me. 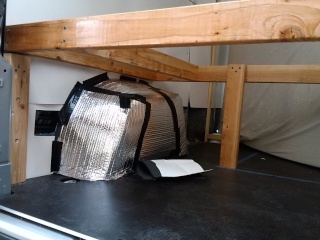 It's so nice that you're able to do the work on your motor home so you can have it just the way you want it. I'll bet it will end up fabulous. Alan, congratulations on the completion of this mini series of Brittle Hill! The cover looks great. I am very,very, very busy at work, and have not painted anything seriously after mid-January. Things will get a more relaxed in a few more weeks and then I will start painting and putting up more work. Hope you're able to get back soon, Faisal. Love seeing what you do! Alan, you are really getting into the digital aspect of art. Congrats on your latest release. Thanks Judy! We are promoting the comic this weekend, by offering a free download of the first 2 issues. It ties in with Free Comic Book Day, an annual day (May 2nd this year) when retailers give out sample issues of comics to the public. Anyway, our comic website has a link to the 2 issues, which are pdf files, free of charge. Feel "FREE" to mention this to anyone you think might enjoy reading them on their computer, tablet or phone. We will be appearing at 3 local comic shops tomorrow to further promote the comic series, and meeting lots of potential readers! Good Luck Alan! my prayers and good will on your effort.